Tiga Recalls His "Rave Tales" for RBMA: "We Were Cyperpunk Medicine Men and Women Wearing Giant Stüssy Diapers"
Recognized internationally as a stalwart within Montreal's electronic music scene, Tiga had a hand in launching the '90s techno scene within the city, along with building DNA Records, co-founding party promoter Neon, launching the renowned SONA club and kickstarting the careers of Chromeo, Azari & III, Gesaffelstein, Duke Dumont, Brodinski and more through signing them to Turbo Recordings. It's all too fitting that Tiga took some time to reflect on the rave scene he helped create in Red Bull Music Academy's 2016 host city. 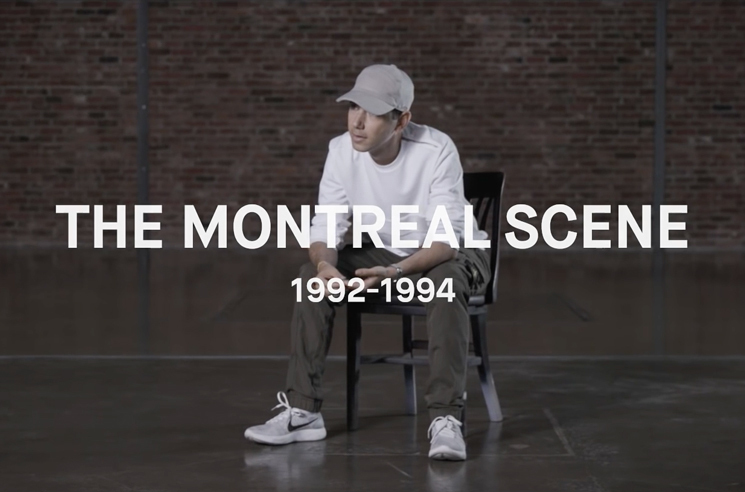 In a new video done for RBMA, Tiga describes the period of 1992 to 1994 as "a goddamn revolution" for rave in Montreal, saying he believes Montreal was the only place in the world where such development could have happened. Bringing the party to the underground away from the cameras, he credits it to a group of young people who were focused on thinking forward. "At the time, I liked my music like I liked my lemonade: hard," he says in the video before dryly adding, "I didn't even know how to spell the world 'retro' until 2001, and I still struggle with it." The producer describes the leaders of this movement as "cyperpunk medicine men and women wearing giant Stüssy diapers. We were love smugglers on the run. We were more than just ones and zeroes." "We were trying to find and forge a space for our music, our aesthetic, our stickers, our way of life, the way we wanted to look, who we wanted to be," he continues. "It was about creating that space, in the spirit of acceptance. We were coming out of the trenches of high school, and all of a sudden it doesn't matter your status, it doesn't matter what clothes you wear, it doesn't matter who you know, where you come from. You could make a rave hat out of a regular jester's hat and come to the party, and you're accepted." On top of this, he even goes on to compare tipping a Domino's Pizza delivery man to rave. Trust us, it's indeed worth the watch, so check out Tiga's rave scene recollections in the player below. Tiga will play his debut headline live show for the first time in its entirety on October 27 at Arsenal. Alongside Jori Hulkkonen, Tiga will perform live vocals for breakout tracks from across his career and select tracks from his latest LP, No Fantasy Required. A press release also promises a wealth of lighting effects and projections from design collectives Pfadfinderei and Helmi. More information on the evening can be found here. Tiga Signs with Counter for New Album, Shares "Don't Break My Heart"